Bob McCluskey, a foundation member of the Square Meaters Association of Australia and a staunch advocate of the Breed, passed away suddenly and after a short illness, a few months after the Square Meaters Feature Breed Show in 2016. At this show, Bob and Su in partnership with Yass High School, bred and then presented the Champion Square Meaters Steer on the hoof. In recognition of his dedicated service and involvement with developing, promoting and showing Square Meaters, the NSW/ACT Breed Group together with St John’s College, Dubbo, have established the Bob McCluskey Memorial Trophy for the champion steer/heifer with the highest aggregate score from both hoof and hook competitions. This year a limousine steer, in the export class presented by Ben Toll won the inaugural award, as champion steer on the hoof and overall champion on the hook with 94 points. 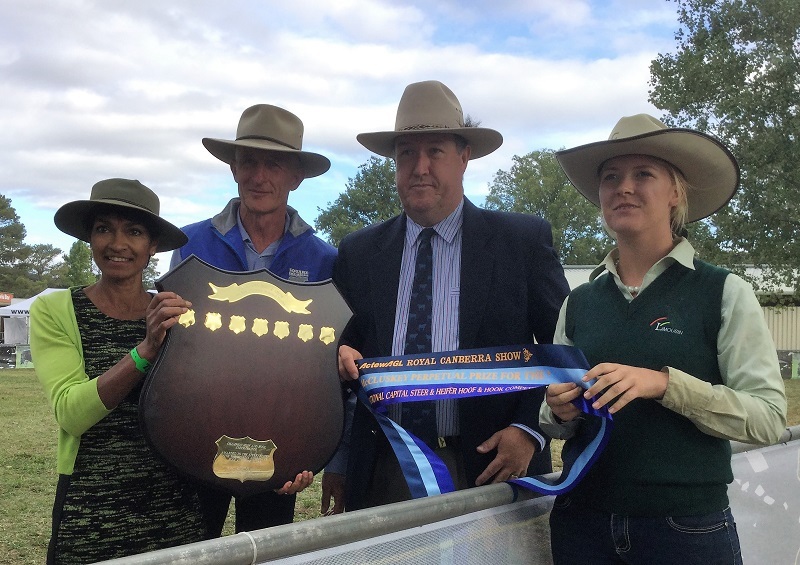 The trophy is in honour of the memory of Bob, his love of cattle and his committed service to the Canberra Show for over twenty years.